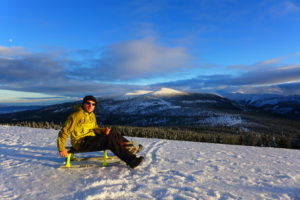 A ride on the longest illuminated sledge slide in the Czech Republic brings unique experiences on the snow. 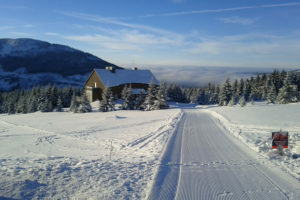 The sledge slide is located in Špindlerův Mlýn and you can enjoy almost three kilometres of sledging with an elevation of up to 400 metres. 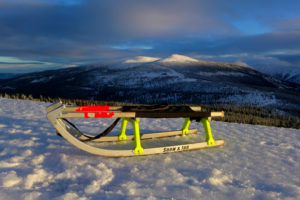 Can’t you be bothered to walk up the hill and pull the sledge? No problem. 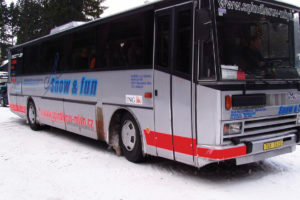 Each ticket to the sledge slide includes the transportation by bus to the start and the rental of sledges. Just dress appropriately, pack your good mood and choose if you want to try a day or a night ride on the illuminated track. We will take care of the rest.